Traditional Afternoon Tea delivered to your door. Covering Weardale, Crook, Bishop Auckland, Consett and Durham Area. 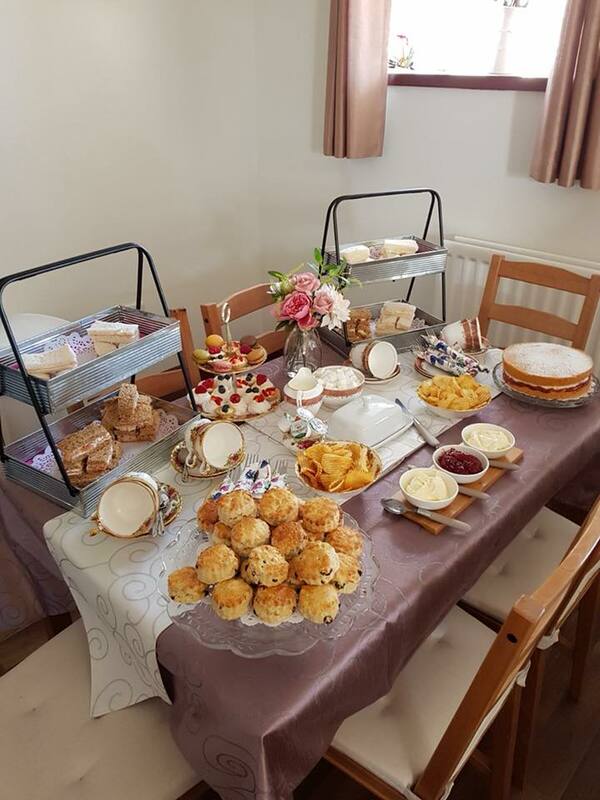 Table Cloths, China Crockery, Cutlery, Napkins, Homemade Scones, Cakes Sandwiches, Cream Cakes etc. We can also decorate rooms for Birthdays, Christenings, Baby Showers and Hen/Stag Parties or tailor it to your requirements. Prices are £12.50 per person with a minimum of 2 people. A small delivery charge may apply on small bookings.